No DNF (Did Not Finish) for the NY Half for MGK!!!!!!!!!!!!! It was a great day on all accounts. Not my best time but my best finish. I was only minutes into the race when I heard the first "Go Fred's Team" shouted at me in BKNY. The verbal support continued to the finish line. Was heartened to see the number of Fred's Team members running by me. I'm inspired to run by them in the Brooklyn Half on 18 MAY 19. My recovery is progressing well and I am cautiously optimistic for a painless finish on Sunday. Don't expect a MGK personal best. Be there to cheer me on along with my fellow Fred's Team runners. No more DNFs! 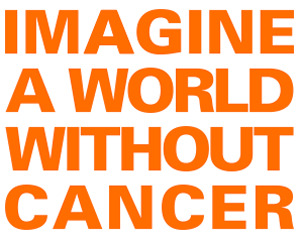 So many great ideas to fight lung cancers .... we need your support to make them real. May Fred be with me. Newsflash: OMG, MGK DNF The Manhattan Half. I braved the elements to get to the start line and all was well until a pesky hamstring pull I experienced while sprinting to the 6 train 10 days earlier recurred and worsened. The tried and true way for dealing with all running injuries, ie to keep running, failed me for the first time. I reluctantly limped off the course just after mile one. I plan to channel all my restorative energies into my thigh to get to the NY Half in March. I'm back in 2019 running with Fred's team to raise money for research that aims to cure lung cancers. Two weeks ago I was wearing my Fred's outfit running in a race in Central Park when a runner who read the back of my shirt tapped me on the shoulder as he passed me (I get more and more of this these days). He turned to me and said "that sure would be a wonderful world". He got our message. He imagined it. You can too. Join me in my 2019 journey through the 5 boroughs. It starts in Manhattan with the Fred Lebow Half Marathon 20 JAN. I can think of no better way to start. Thank you for your financial and emotional support. May Fred be with you.